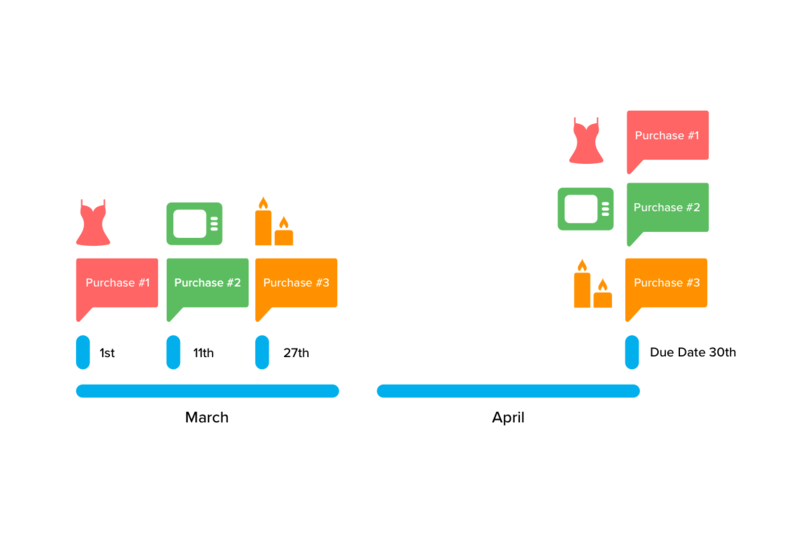 Here’s an example : If you make your first purchase on the 1st of March for $39, you will receive a statement on the 1st of April with the closing balance of $39 (unless you made more purchases in March) which you need to pay off until the 30th of April in order to not have to pay the account fee of $6. zipPay offers 3 different credit limits: $250, 500 and 1000. Our algorithm will automatically decide which maximum limit you will be eligible for based on our minimum criteria evaluated during the application process. You can apply for an account here using your Facebook, PayPal or Email details or during checkout at any of our stores. In the application process we look at things like your credit score, income stability and if you can pay back the credit. We also check your identity (via Facebook or Paypal) to make sure you are who you say you are. Subject to approval, sign-up takes only seconds, after which you can complete your purchase and pay for it later. Once approved for your zipPay account, there’s no need to apply again. You can continue to use your zipPay account anywhere that accepts zipPay. You can now use your account at any zipPay affiliated retailer. Your account can be used both in-store and online! Payments are taken automatically via direct debit - you don't need to manually transfer money unless you would like to pay down your balance faster, and it doesn't replace your scheduled payment run! You can set up your repayments to fall monthly, fortnightly or weekly at whatever amount suits (provided this is greater than the monthly minimum of $40). If you decide not to set up an individual schedule, we will take repayments automatically at the end of the next month even. You can also make additional payments whenever you like via card or BPay. Again, please be aware that your scheduled payment will still be processed even if you make an additional payment outside of schedule! If your payment fails, we will send you a notification. Simply put some money into your nominated payment method and we will attempt to reprocess payments the following day.